Snapchat is the PUP that uses misleading techniques to prevent removal. Use Reimage to locate malicious components and get rid of them faster than with uninstall instructions. A full system scan blocks virus reappearance and prevents traffic to malicious domains. Snapchat virus – is a name that describes malicious programs and activities going on the popular app. Malware might display ads, deliver malicious or phishing link, ask to install unknown apps for Android or iPhone devices. Additionally, it might try to steal Snapchat or other passwords and logins. 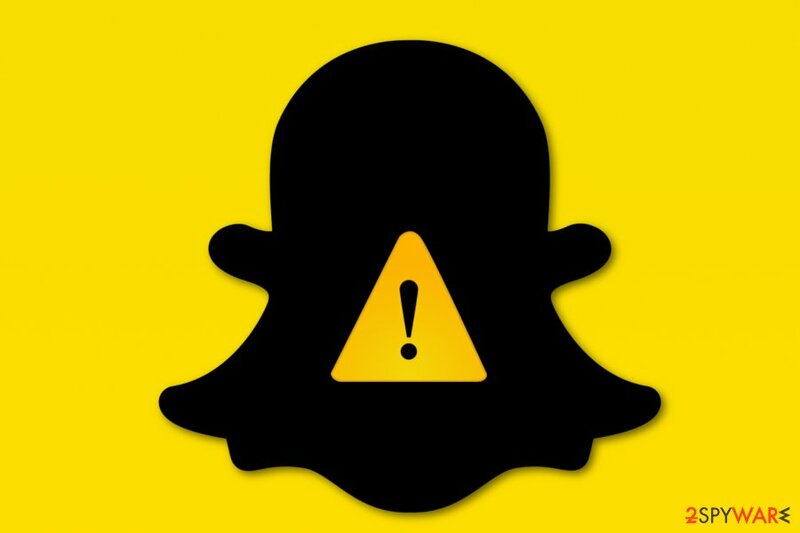 Snapchat malware is closely associated with iPhone and Android viruses. This cyber threat might spread as a fake Snapchat app on third-party sites or app that improved functionality of the original app, for instance, allows taking screenshots anonymously. However, all of these applications might display tons of ads, redirect to dangerous websites or collect sensitive data. Malicious ads on potentially dangerous or insecure websites might also infect with Snapchat virus. Users report that specific adult-themed websites display aggressive pop-ups that cannot be avoided. They launch Snapchat and ask to be friends with unknown people. In this way, your account might be hacked, turned into a bot or used for spreading malicious links to your contacts. 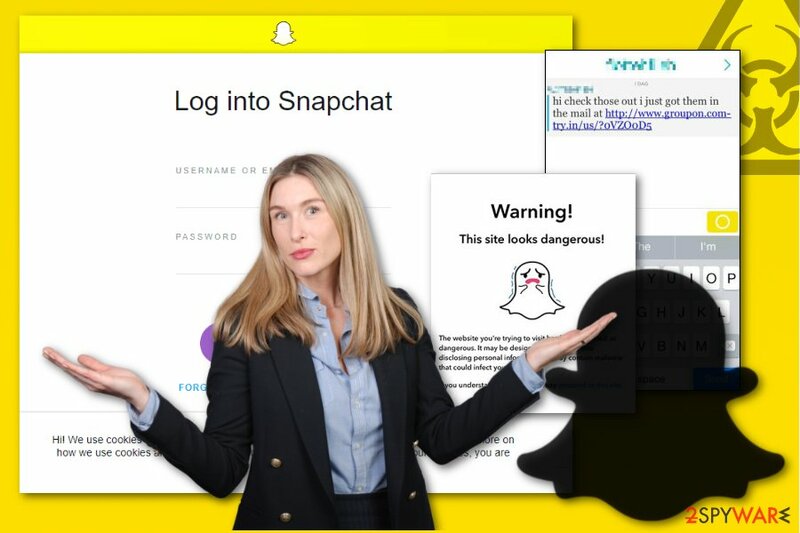 If you noticed suspicious activities on your account, you are asked to log in every time you open the app or suffer from suspicious ads, you should change your account’s password immediately and proceed with Snapchat virus removal. To remove Snapchat virus entirely, you need to scan your device with professional malware removal program like Reimage. Additionally, you might need to clean your browser’s cache and history. For more information about virus elimination from iPhone and Android phones, check the instructions at the end of the article. 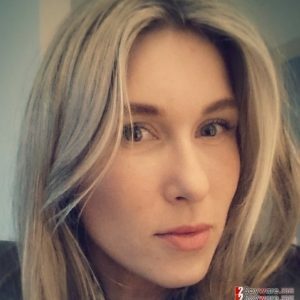 Security experts from LosVirus.es tell that appearance of the Snapchat scam was expected. Similar hoaxes have been spreading on other social networks and are known under the names of Facebook Message, Twitter or Instagram viruses. There’s no surprise that attackers aimed at the continuously growing platform which is mostly used by younger people. Hence, they are more likely to fall for the scam. User’s described activities remind one of the versions of the Facebook virus that sends malicious links for Messenger users. As soon as Snapchat virus compromises user’s account, it starts automatically sending links to victim’s contact list. Therefore, you need to be careful with received links. We highly recommend asking a friend if a strange link was actually sent by him and is safe to open. However, clicking the link should not affect your device with Snapchat malware. Typically, it requires installing particular apps, add-ons or entering personal information. You should never do that! Snapchat virus is a group of malicious activities spreading on the social app. One of the first harmful activities for Snapchat users were held in 2013. Back then, a group of hackers stolen and published about 4.6 million usernames and phone numbers. Considering the fact that many people us the same information for all accounts, attackers might get access to Facebook, Twitter, email or other accounts. In 2016, attackers aimed at the Snapchat employee. Criminals created a legit-looking email and pretended to be company’s CEO. A victim who opened a phishing email was unable to recognize the fraud and sent payroll information. At the beginning of 2018, another data breach was reported. The phishing website klkviral[. ]org published usernames and passwords of 55,851 Snapchat accounts publicly. The attackers gained this information by sending a spoofed link to the users via the compromised account. The redirect sites mimicked Snapchat’s login page. Download Snapchat from the Google Play Store or Apple Store. Install updates from the official store. Do not install apps that offer advanced functionality that is not originally supported by the Snapchat. Do not add unknown people to your friendslist. Avoid visiting adult-themed, gaming, gambling or other high-risk websites. Install mobile antivirus and update it regularly. We want to stress out that third-party app stores or update/download pop-ups are usually malicious. Hence, you should never trust, use and click them. We highly recommend completing Snapchat malware removal with reputable and mobile-friendly malware removal tools, such as Reimage. Scanning your Android or iPhone smartphone helps to locate all cyber threats that might be residing on the device. Open Settings and find Safari. Choose Clear History and Website Data. However, if these methods do not help to get rid of Snapchat malware, you should power off and restart your Apple device. Press the power button to open power off menu. Press and hold Power off to open restart in Safe Mode option. When in Safe Mode, open Settings menu and choose Apps. Find malicious apps and tap them to open App info menu. If the Uninstall button is inactive, you have to exit Apps menu and navigate to Settings > Security > Device Administrators. You will see the list of apps that have administrator rights on your device, so you need to untick the box near the malicious app. Then return to the Apps menu and get rid of the app. ^ Snapchat virus. The Student Room. UK's student community. ^ New Snapchat Virus hack thingy?. Reddit. Breaking news, fun stories, pics, memes, and videos. ^ Jon Russell. Snapchat Employee Data Leaks Out Following Phishing Attack. TechCrunch. Startup and Technology New. ^ Casey Newton. A phishing attack scored credentials for more than 50,000 Snapchat users. The Verge. Technology, science and entertainment news. This entry was posted on 2018-05-23 at 03:56 and is filed under Malware, Viruses. You can quickly scan the QR code with your mobile device and have Snapchat virus manual removal instructions right in your pocket. How did you remove Snapchat virus?